Route: Circular, starts and ends in Calamocha. Days recommended: 2 days (1 night). The tracks on the route in GPX, KMZ and TRK format. To always be on the correct track you can download Mapas de España (Maps of Spain) app (only android version available) from the Spanish National Geographic Institute, from where you can access to all of our routes and navigate on accurate maps as well as to obtain additional features for free. List of points for obtaining and stamping the Letter of safe conduct. List of tourist information offices. 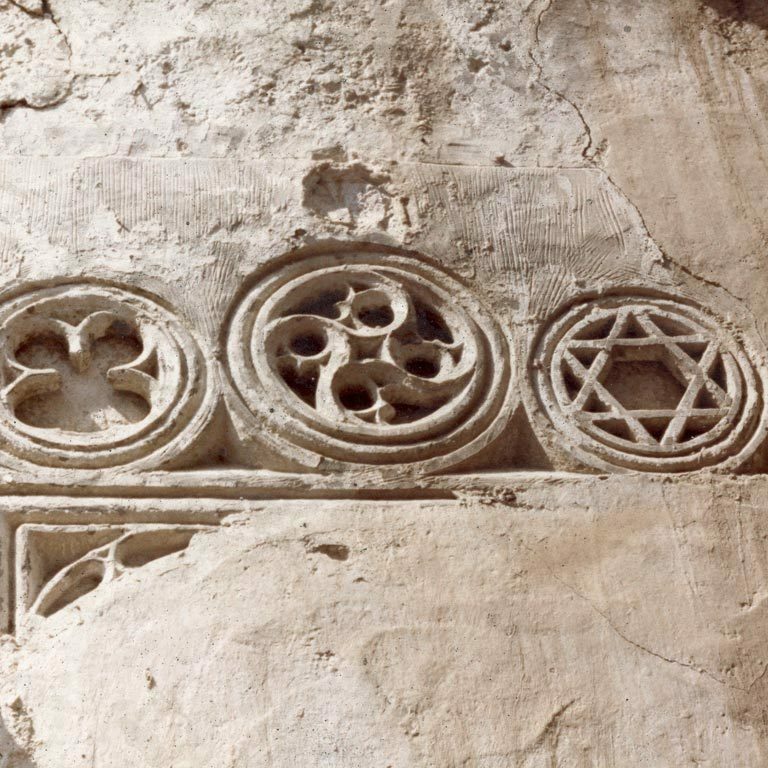 Tourist brochure (this can be obtained at any of the tourist information offices on the route). Only available in Spanish. 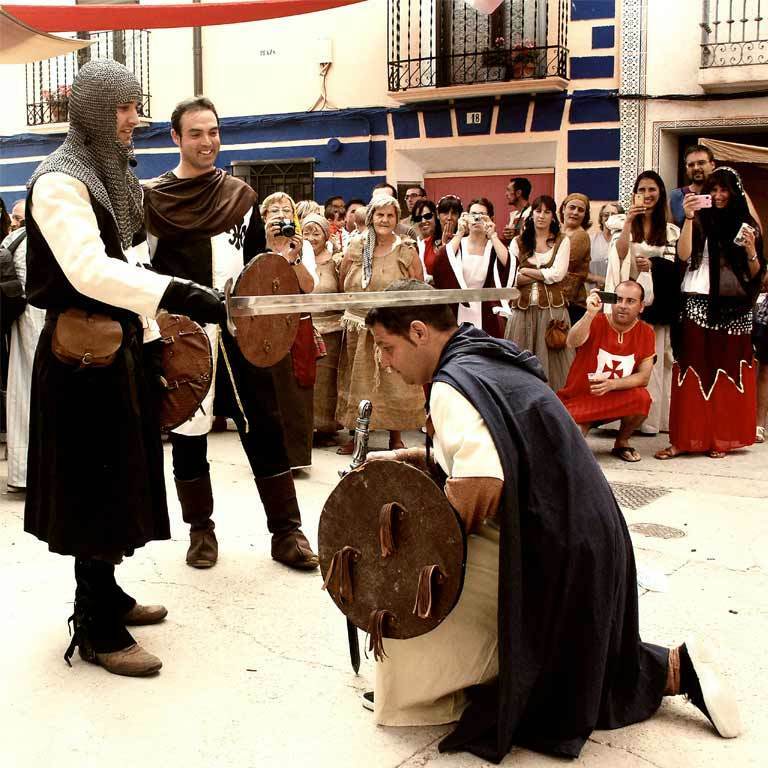 Remember that you can obtain more information about each route at the tourist information offices on the Way of El Cid, including brochures and the Letter of safe conduct. 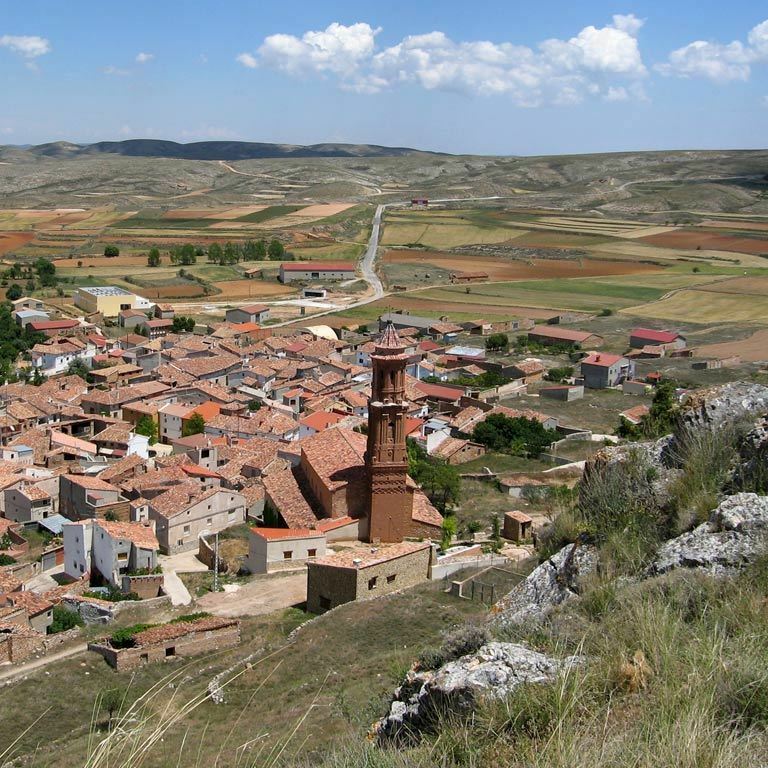 According to the Poem of the Cid, on his journey to Valencia, Rodrigo set up various camps in the region that is today known as Aragón, from where he raided and pillaged the Moorish towns in order to subjugate the Muslims and especially to obtain provisions and goods to pay his men. 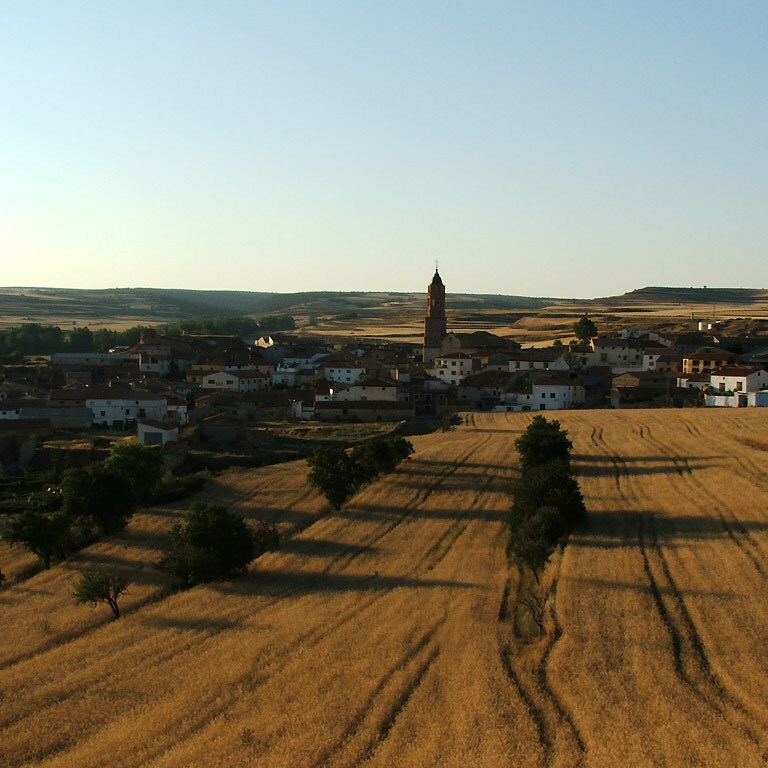 The Poem situates the most famous of these camps in El Poyo del Cid, 6 km outside Calamocha. El Cid had previously gathered his troops in Allucant, a place which remains an enigma to us, but which some scholars associate with Gallocanta, 22 km outside Calamocha. 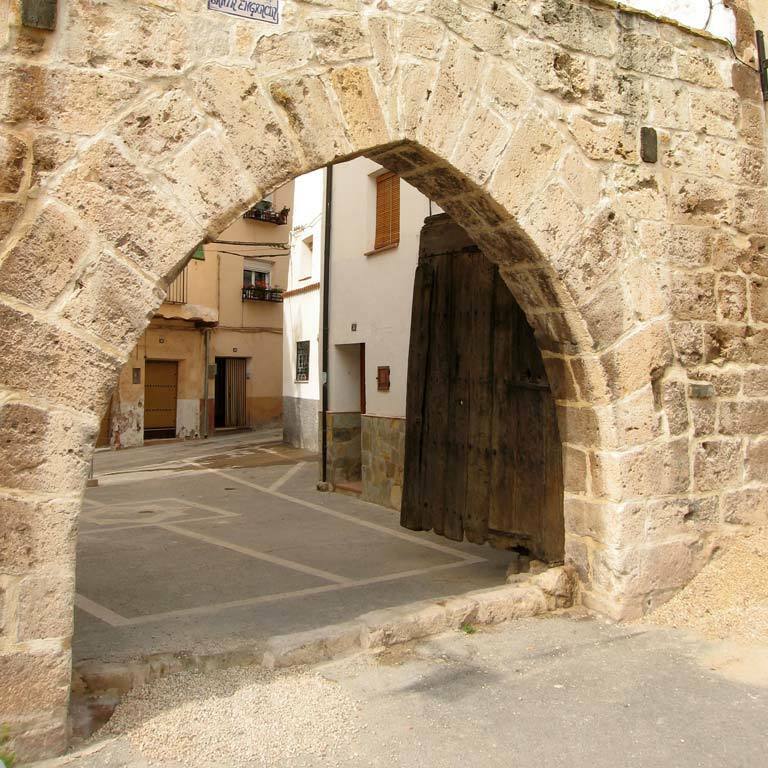 From there he launched a ten day raid on Monforte de Moyuela, Huesa del Común and Montalbán. El Cid must have maintained a constant presence in the area, as after moving to El Poyo del Cid, the Poem tells us that he “set the whole valley of the River Martín under tribute”. 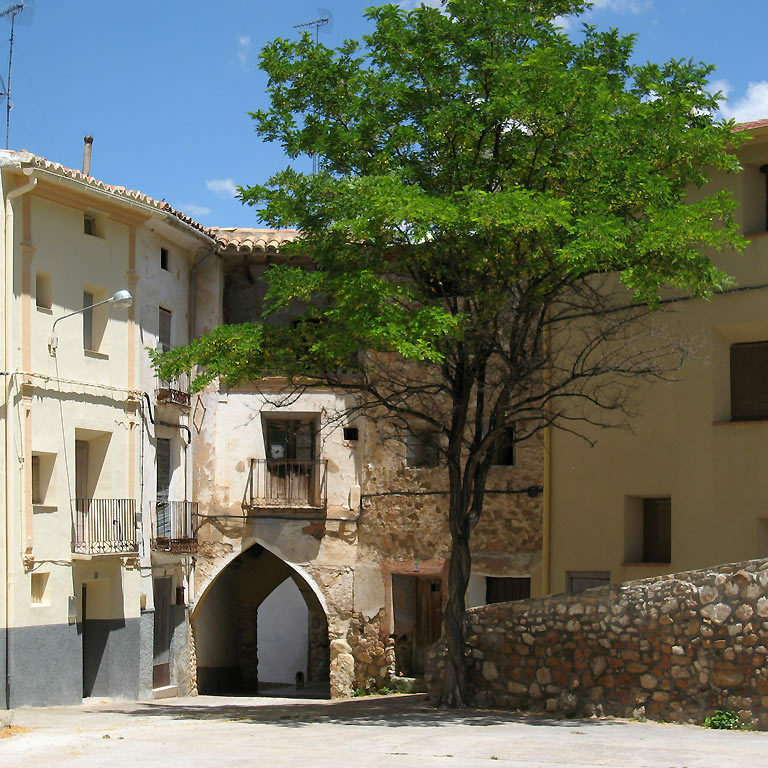 The route begins in Calamocha, where the historic El Cid camped in 1088 with a powerful army, before running along quiet roads as far as Monforte de Moyuela, site of the three major castles to be admired on this circular route. 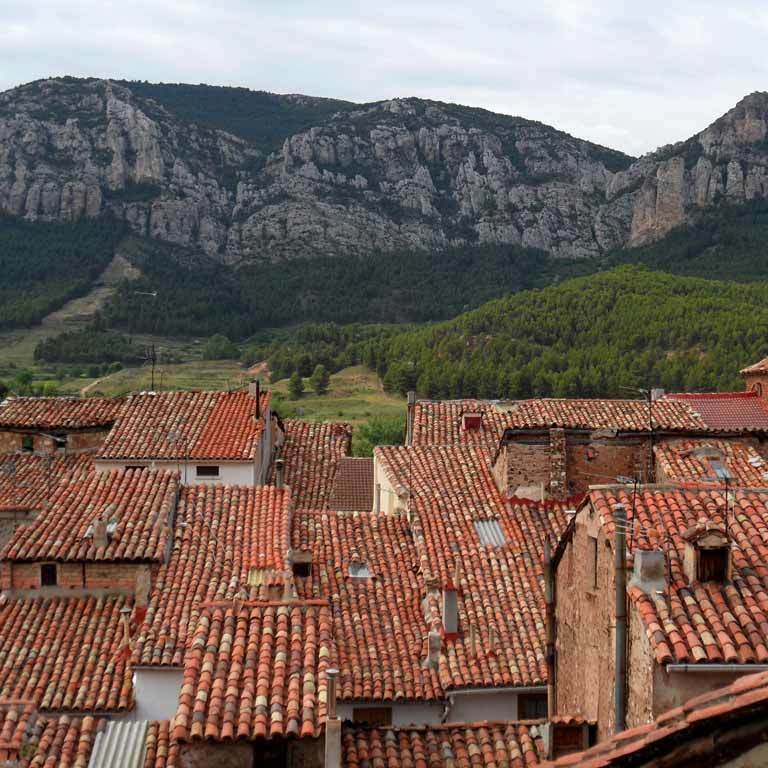 The second is 11 km away, in Huesa del Común, an eye-catching castle perched on a flat-topped hill that is ideal for free climbing. Huesa is a small village that is well worth taking the time to visit: the castle is accessed via a steep slope leading up to what is unquestionably the perfect site for a fortress. 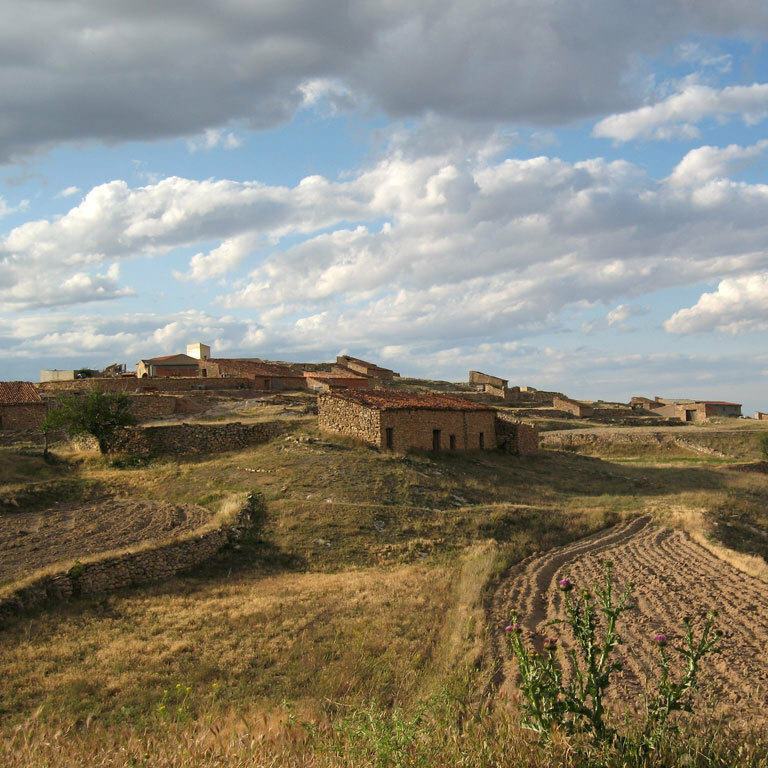 The route continues through small villages such as Plou – whose abandoned cattle shelters almost give it the appearance of a ghost town – and La Hoz de la Vieja, which offers breathtaking panoramic views. 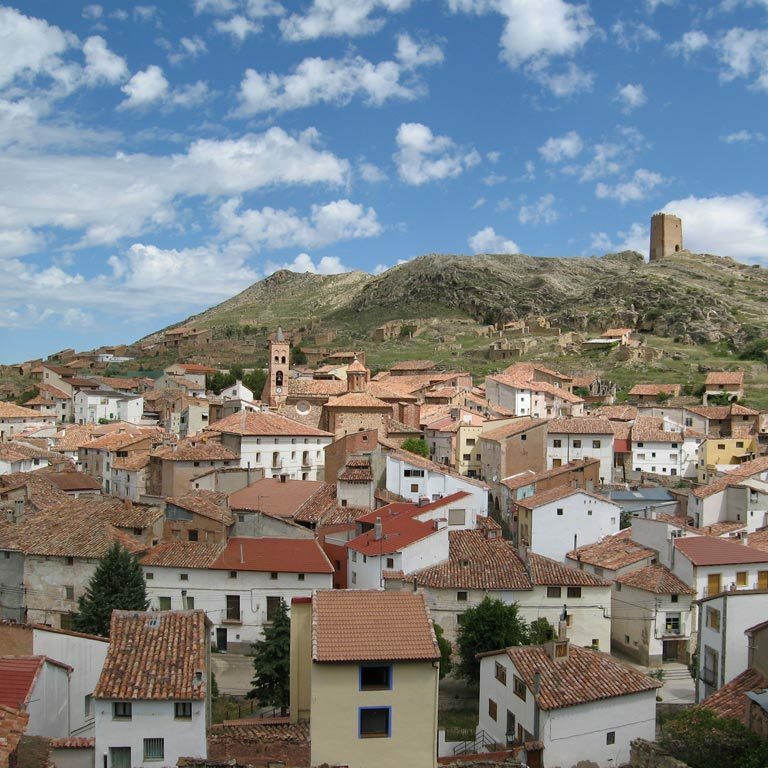 Montalbán, lying some 15 km away, marks the halfway stage of this route and is a monumental town. 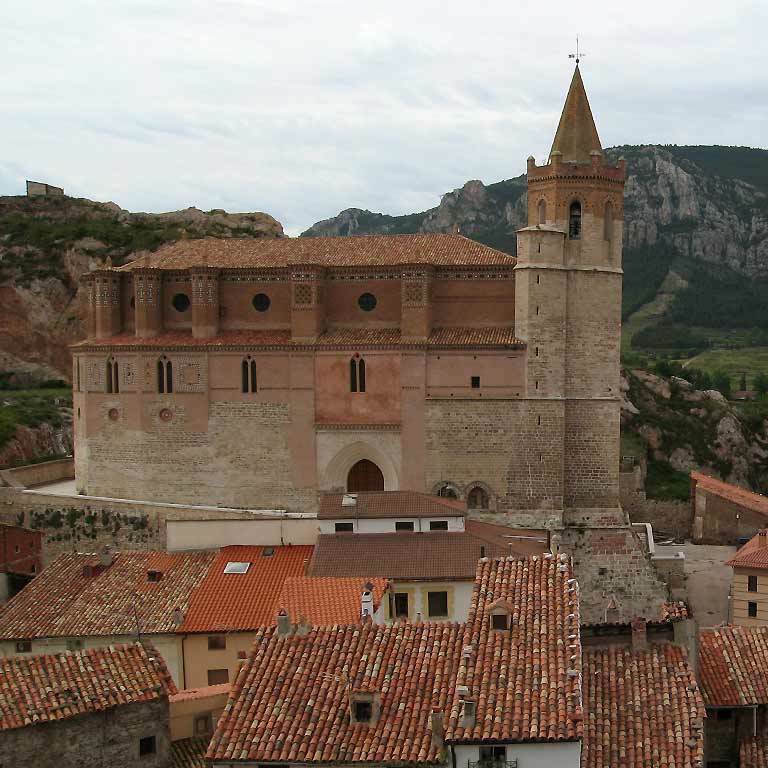 The visitor’s eye is immediately drawn to its narrow streets, magnificent views, the ruined castle and the Church of Santiago, an imposing construction built in the Gothic-Mudejar style and seat of the Order of the Sword of Saint James. 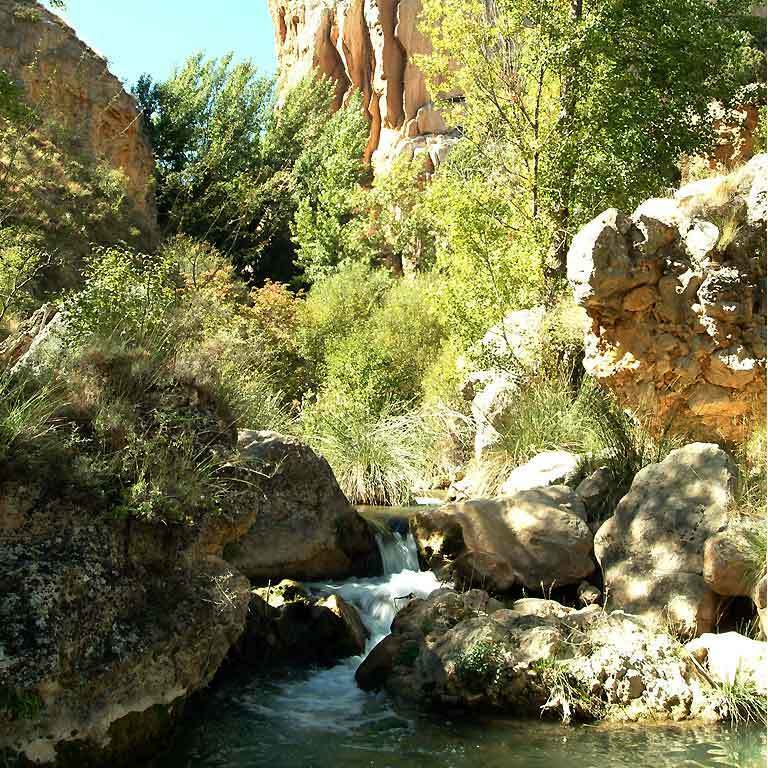 Montalbán is located inside the Río Martín Culture Park, a nature reserve with a landscape of ravines and precipices that extends towards the north-east, following the course of the River Martín. 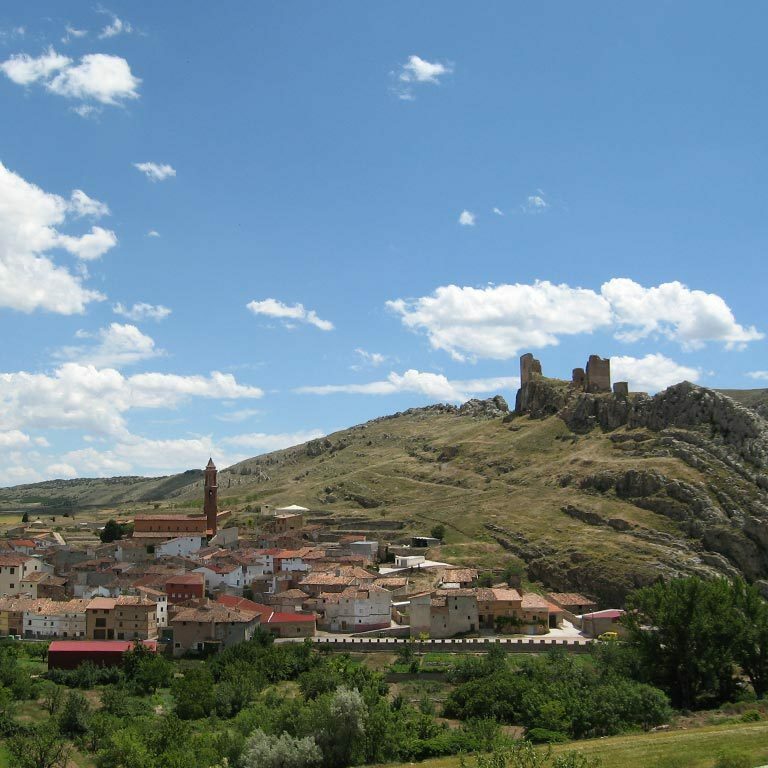 It is therefore also the ideal starting point for other excursions in the area known as Cuencas Mineras, which owes its names to the mining areas located there. 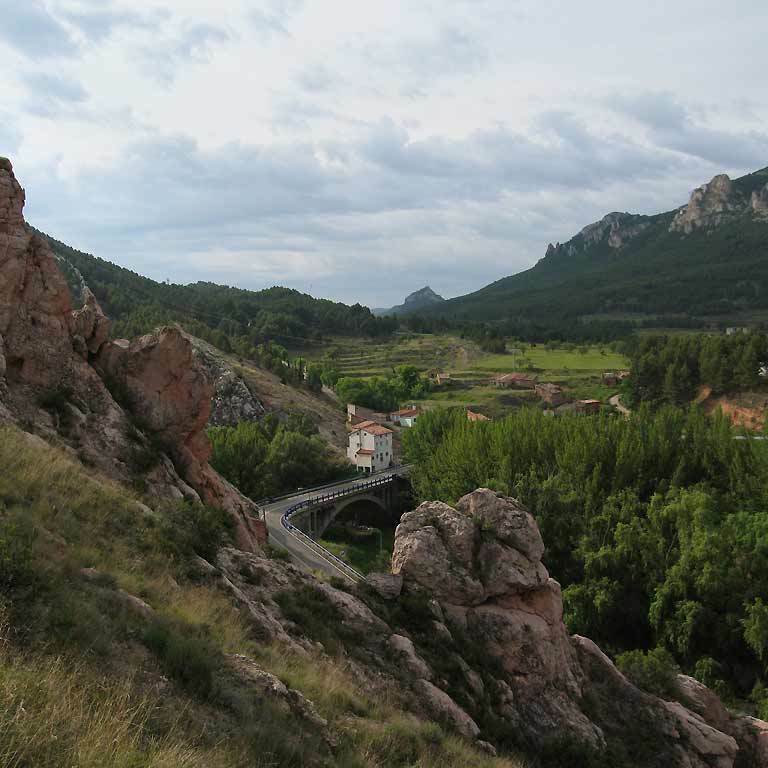 The River Martín is mentioned in the Poem, which claims that the entire valley paid tribute to El Cid. 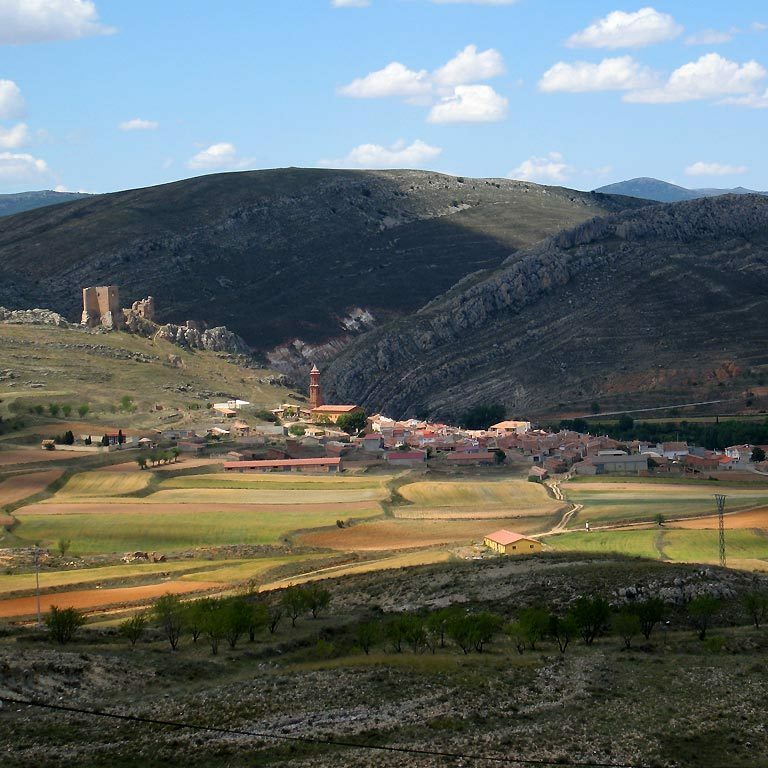 It is unclear which towns the poet is alluding to; possibly those situated beyond Montalbán, but it is now time to return to Calamocha, passing through Martín del Río, where the source of this river is located, as well as other towns scattered around the natural landscapes of the Fonfría Mountain Range and the gypsum hills of Barrachina and Cutanda. We urge history lovers and those eager to explore sites that have gone down in history to take a 2.5 km detour from the route just after the village of Barrachina to visit Cutanda. 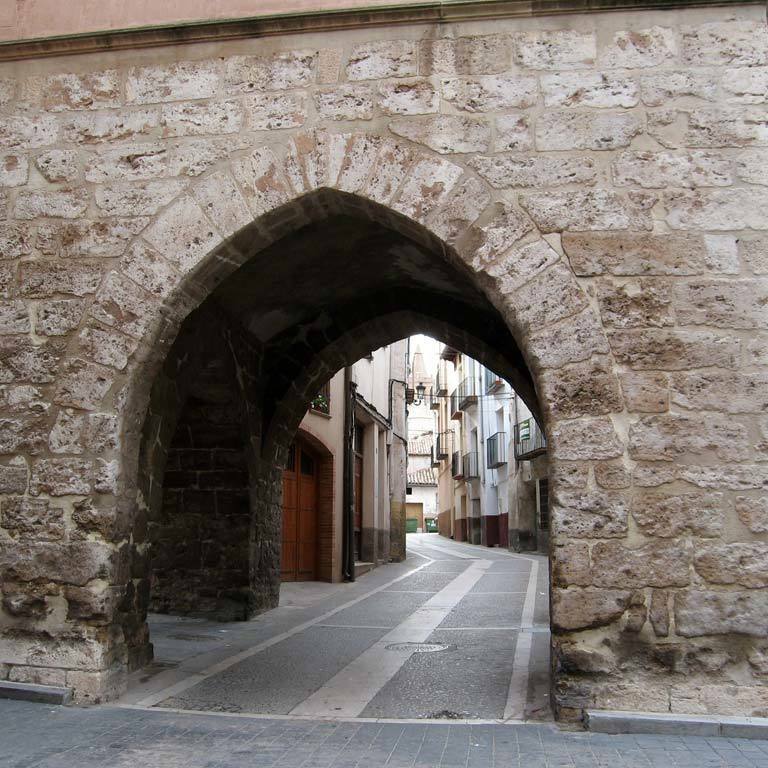 Today it looks just like any other town, but in 1120 it was the site of the battle between Alphonse I of Aragon, the Warrior King, and the Almoravid general Ibn Yussuf, who would fall in defeat. 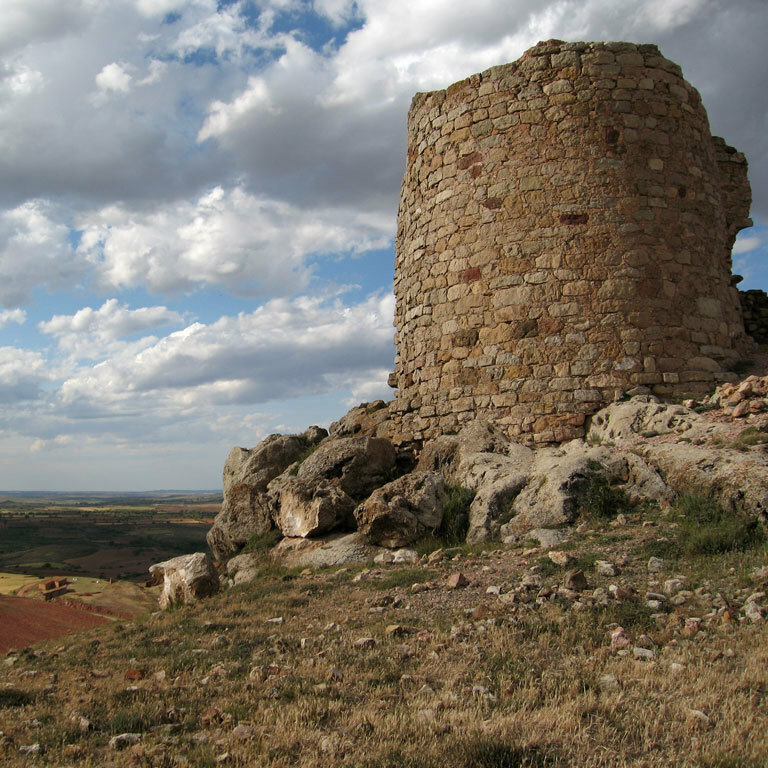 This victory of the Aragonese troops would lead to the eventual surrender of the Almoravid fortresses in the valleys of Jalón and Jiloca. 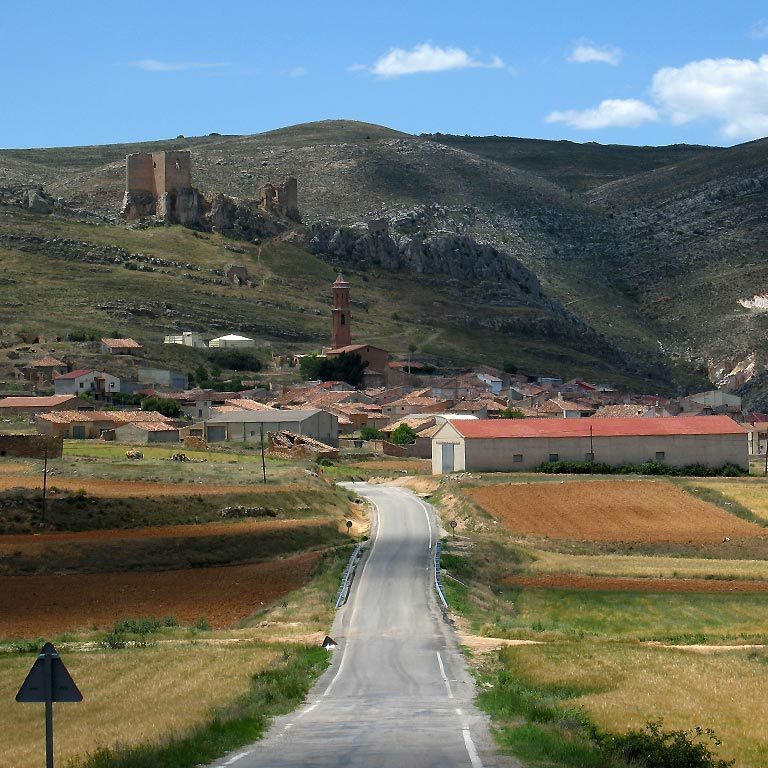 Those wishing to complete the route in accordance with the narrative sequence can start in the town of Gallocanta (Zaragoza), which certain scholars of the Poem believe is the site of the base camp from which El Cid launched his attacks on these lands. Accommodation should be booked in advance. Remember that the road you are on is also used by cyclists and you might come across a few of them on your journey. Respect them and take great care. Especially when overtaking: keep a safety distance of 1.5 m.
Get your Letter of safe conduct. The Letter of Safe Conduct is a personalised 'passport' you can have stamped at many towns and villages on the Way of El Cid. You can use it to get discounts of at least 10% in more than 200 places of accommodation and benefit from special offers. It is free and you can apply for it at any of the more than 70 tourist information offices on the route or at the Way of El Cid Consortium. Your literary guide. You might think it's unnecessary weight, but for many it is essential: don't forget to take with you a copy of the Song of El Cid; you will be able to recreate some of its passages on site.